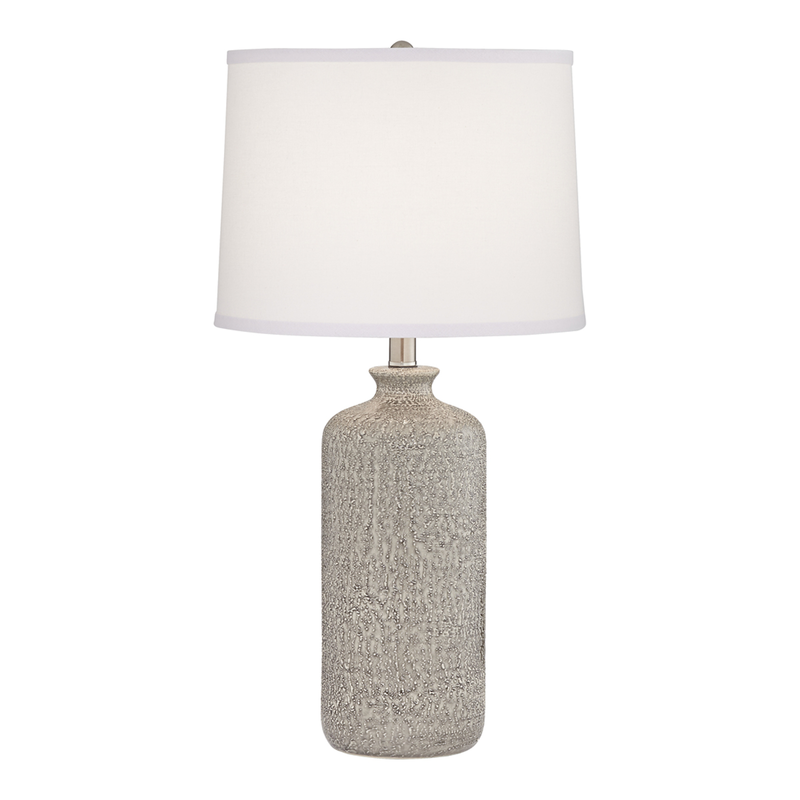 Bring capeside style to your bedroom with the Sandy Table Lamp, featuring a textured gray, cylindrical base topped by a pristine white cotton shade. ~ Ships from manufacturer. Allow 2 weeks. Cannot express ship.